The United States has the highest statutory corporate tax rate in the world, at over 39 percent, including state and local taxes. Many analysts say the comparatively high U.S. rate, coupled with a complex array of tax subsidies and loopholes, is a doubly flawed system, overburdening businesses with compliance and planning costs while reducing federal revenues at a time of rising national debt. Others point out that the U.S. system, which taxes foreign profits of U.S. multinational corporations, may put the country at a competitive disadvantage with most of the industrialized world, which only taxes domestic corporate income. At a time when scrutiny of corporate tax avoidance and foreign tax havens is intensifying, some critics suggest an overhaul of the tax code, which last took place in 1986, is long overdue. President Donald J. Trump and congressional Republicans have made passing comprehensive tax reform their top priority. In November 2017, House Republicans released their proposed tax reform legislation, which will be followed by intense negotiations over the details to win enough support for passage in both the House and Senate. Meanwhile, Trump has threatened to apply new penalties on U.S. corporations that move production abroad, creating deep uncertainty for the future of U.S. trade policy. Why does corporate taxation matter? The way a country taxes corporations matters for two primary reasons, say economists. First, corporate taxes alter incentives and may distort domestic economic behavior in ways that are harmful for growth. Second, different tax regimes around the world interact to distort the allocation of international investment. The confluence of these micro and macroeconomic forces has significant consequences for the ability of the United States to compete in the global economy. Corporate taxation is an essential component of the national business climate and one of several factors that multinational corporations weigh when deciding how and where to invest. In the United States, the role of corporate taxation has steadily declined since World War II. Corporate tax has fallen from a 1952 high of 32 percent of all federal tax revenue, representing over 6 percent of GDP, to accounting for less than 11 percent of revenue in 2016, or less than 2 percent of GDP. Corporate taxes are the third largest source of revenue, behind the individual income tax, which accounts for about 47 percent of federal revenue, and payroll taxes, which account for about 33 percent. The decline in corporate tax revenue has come even as corporations are posting record profits, and experts attribute this drop to a number of reasons. First, statutory rates have consistently fallen, from a federal rate of over 50 percent in the 1950s to 35 percent today. Second, tax breaks and deductions mean that the actual, or “effective,” rate that corporations pay is closer to 27 percent. Third, as the Congressional Research Service explains in its 2014 analysis of the corporate tax code [PDF], fewer businesses are incorporating as “C” corporations, the only type of firm subject to corporate taxation under the U.S. code. More businesses are choosing to file as sole proprietorships, partnerships, or limited liability companies, which are known as “pass-through” businesses because their profits are taxed only as they relate to the individual incomes of the owners. “C” corporations now make up just 6 percent of all U.S. businesses, down from 17 percent in 1980, though they generate half of the country’s business income. At the same time, a higher share of corporate profit is being earned abroad, most of which currently avoids U.S. taxes. What are the drawbacks of the current system? Democrats and Republicans alike, as well as many economists, have criticized the U.S. corporate tax code. The system’s high rate is a particular target: according to the nonpartisan Tax Foundation, the federal corporate rate of 35 percent (over 39 percent when state and local taxes are considered) is the third highest in the world, and the highest among the developed economies of the Organization for Economic Cooperation and Development (OECD). Corporations pay much less than the statutory rate, thanks to an array of tax breaks. Many tax breaks have been introduced to encourage business activities, like manufacturing and research and development (R&D), that also benefit the broader economy. The single largest corporate expenditure is the deferral of taxes on foreign profits. Unlike many other countries, the United States taxes its companies’ foreign profits. However, that tax is only collected once profits are brought back into the country, encouraging many U.S. multinationals to keep their profits offshore and avoid paying taxes indefinitely, which companies say helps them compete against their foreign rivals. As a 2016 study of U.S. corporate tax policy by CFR’s Edward Alden and Rebecca Strauss points out, this deferral has become increasingly relevant as foreign profits have doubled as a share of total profits since the 1970s, from 10 percent to 20 percent. This policy currently costs the U.S. government $83 billion a year and estimates place the amount of money being parked in offshore tax havens at $2 trillion. In her book, The Economic Effects of Taxing Capital Income, economic policy expert Jane Gravelle explains that many economists see a number of other potentially harmful distortions created by the U.S. corporate tax code. These include incentives for companies to borrow (since debt interest payments are tax deductible, while dividend payments to equity investors are not), incentives for businesses to avoid incorporating (which disadvantages capital-intensive industries that rely on the corporate form), and the need for companies to spend a great deal of money on tax compliance and planning. Some economists also worry that taxing corporations inherently discourages investment and business growth. How does U.S. tax policy compare internationally? As noted, the U.S. statutory rate of 39 percent is far higher than those of its peers in the OECD, who have an average statutory rate of 29 percent. U.S. policymakers have not adjusted the rate since the last major tax reform in 1986, even as other advanced economies have progressively lowered their rates to compete for investment. And while the effective U.S. rate—the amount U.S. companies actually pay—is roughly the same as the rest of the OECD, at 27 percent, the shift away from the corporate form in the United States means it collects much less in revenue. As Alden and Strauss highlight, other OECD countries collect the equivalent of 3 percent of GDP in corporate taxes, versus the United States’ 2 percent. Republicans and many business groups criticize the current U.S. tax on worldwide corporate profits (the “worldwide” system), in contrast with most foreign peers that only tax their firms’ domestic profits (the “territorial” system). They worry that U.S. multinationals—which represent less than 1 percent of total U.S. companies but more than 19 percent of jobs and 74 percent of R&D spending—are being put at a competitive disadvantage. Critics also allege that deferring taxation until profits are repatriated, as the U.S. code currently does, encourages these businesses to park their money overseas indefinitely, discouraging the reinvestment of these funds at home. Research by Reed College economist Kimberly Clausing [PDF] and others has found that high rates in the United States have had a measurable effect on encouraging firms to invest more in low-tax countries than they otherwise would have. Yet some economists also warn against a “race to the bottom” in which countries competing to lower their corporate rates end up shifting more of the tax burden onto individual taxpayers. Many multinational corporations are already able to pay very little tax by funneling profits into international tax havens, like the Cayman Islands, or undertaking so-called “inversions” that relocate their headquarters to low-tax countries like Ireland. International authorities have sought to crack down on this kind of “profit shifting,” with the U.S. Treasury imposing new restrictions on inversions in 2016, and the European Union ruling that Ireland’s business tax incentives constitute unfair subsidies. How would reform affect the U.S. budget? As competing reforms to the U.S. tax code jostle for attention in Washington, experts say that any proposal for updating corporate taxes will have to address the broader effects on federal revenue, especially given high levels of U.S. debt and the expected growth of entitlement spending in coming decades. “A tax package that reduces revenue is not tax reform,” writes tax policy expert Bruce Bartlett in his book The Benefit and the Burden. “It’s just another tax cut.” Most economists, he says, view true tax reform as a revenue-neutral, zero-sum game with both winners and losers. In this view, if the top corporate tax rate is lowered, the tax base will need to be broadened so that some businesses will have to pay more, or funds will have to be raised through other means (such as expanded consumption taxes like the sales tax or gas tax). Eric Toder of the nonpartisan Tax Policy Center agrees. He says that “corporate taxes cannot be thought of in isolation,” but that any corporate tax reform must be considered in the context of general tax reform that may include other changes, such as the way individuals are taxed. More than twenty-five years later, many see the 1986 Tax Reform Act as a model for comprehensive tax reform. This bipartisan legislation was able to achieve revenue neutrality by balancing rate reductions for both individuals and corporations with the elimination of many tax preferences. The result was largely perceived as a more simple (as far as compliance) and economically efficient tax code. What changes do reformers hope to make? Trump’s election and the consolidation of Republican congressional majorities in the 2016 elections injected new energy into the push for corporate tax reform. However, major philosophical differences remain not only between Republicans and Democrats, but also among some Republicans. Democrats and Republicans in recent years have generally agreed on lowering corporate rates. While the Republican leadership supports the 2017 plan, its potential impact on the deficit may cause opposition among rank-and-file Republicans; House tax analysts say that the corporate tax cut alone will reduce federal revenue by some $1.5 trillion over ten years. ($1.5 trillion is also estimated to be the overall deficit burden after accounting for all of the other combined cuts and increases in the plan.) While Senate Republicans have said they will accept that level of revenue loss, anything that adds to the deficit could elicit fierce resistance from budget hawks in the House, and the plan’s passage remains uncertain. The White House, in turn, argues that the plan would spur growth and increase overall revenue. More radical proposals have long circulated as well, though they are unlikely to be implemented. Eliminating the corporate tax and replacing it with a “flat tax” has been popular among some Republicans; in 2015 Senator Ted Cruz, then a presidential candidate, pushed a single 16 percent rate for all business revenues. Some economists have also suggested that the corporate tax is counterproductive. Laurence Kotlikoff, an economics professor at Boston University, has argued that abolishing corporate taxes while raising income taxes on high earners would both generate more revenue and spark more investment and growth. How do proposed tax reforms relate to trade policy? The 2016 House Republican plan sought to maintain deficit neutrality partly through changes to the tax treatment of imports and exports. Currently, the cost of imports are tax-deductible, but the House proposal for what they call border adjustment would have reversed that, essentially applying a major new tax on imports. At the same time, exports would have been made exempt from taxes. Experts estimate that this measure could have added nearly $1.2 trillion in revenue over the next decade.. Some economists say that this type of border adjustment would help fight corporate offshoring, since the policy, combined with a territorial tax system, would mean that the location of a business would have no impact on its U.S. tax burden. They also argue that it would have a neutral effect on trade, since reducing demand for imports would raise the value of the U.S. dollar and counteract any temporary boost to exports. But the measure was fiercely opposed by industries that rely heavily on imported goods, such as retailers like Walmart and Target, who said it would increase their costs and thus consumer prices across the economy. There are also questions regarding whether giving tax rebates to exporters could be challenged under World Trade Organization prohibitions against favoring domestic producers. Ultimately, the proposal proved controversial enough among Republicans that it was dropped in the course of 2017 tax reform negotiations. Separately, corporations will be watching closely Trump’s promises to impose a “very large border tax” on U.S. companies that shift production to other countries. In contrast with border adjustability, which applies equally to all, such a tariff would likely target individual companies, industries, and countries. If carried out, the move would represent a reversal of recent policies, including the NAFTA trade deal with Canada and Mexico, that have sought to reduce tariffs and deepen cross-border integration, with unpredictable effects for the global trade agenda. The U.S. system for taxing corporate profits is ineffective at raising revenue and creates perverse incentives for companies to shelter profits overseas, says this 2016 CFR report and scorecard. This 2014 Congressional Research Service report (PDF) explores the structure of the U.S. corporate tax system and the debate over how to reform it. The U.S. tax code’s treatment of foreign profits is unusally burdensome, creating major economic distortions, argues this Tax Foundation explainer. 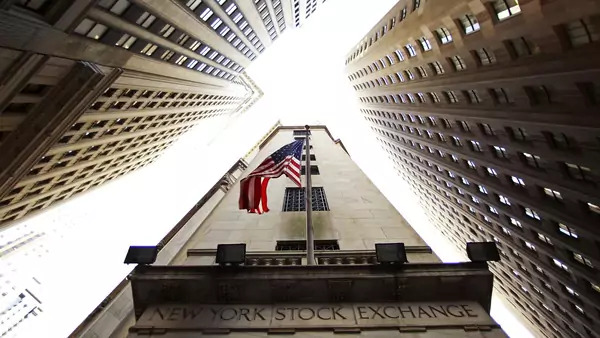 The corporate tax code requires deep reforms, and the consequences for both businesses and the broader U.S. economy are huge, writes New York Times economics correspondent Neil Irwin in this analysis. This Washington Post report explains the divisions between House and Senate Republicans on how to move forward with tax reform in 2017.